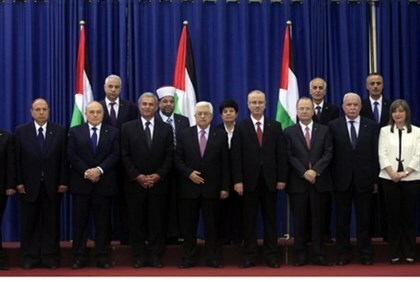 ‘Comprehensive agreement’ reached between Hamas and Fatah over Gaza rulership. But will it last? Rival Palestinian factions Hamas and Fatah reached a “comprehensive” agreement Thursday for the return of their “unity government” in Gaza after two days of talks in Cairo, negotiators from both sides said. “Fatah and Hamas have reached a comprehensive agreement for the unity government to return to the Gaza Strip,” Jibril Rajoub of Fatah told AFP. Senior Hamas official Mousa Abu Marzouk and Fatah’s head of delegation, Azam al-Ahmad, confirmed that an agreement had been reached. “The unity government will supervise the crossings (into Gaza)… to facilitate the reconstruction of the Gaza Strip,” Abu Marzuk said. He said the two factions agreed to creating a mechanism for construction material to pass in to Gaza. The two movements have also found a “solution .. to the problem of employees,” Abu Marzuk said, referring to the Hamas accusations that the Palestinian Authority had not paid Gaza government employees. reconciliation deal inked in April. Differences of opinion have surfaced over several issues, including the war in Gaza, reactions to the abduction and murder of three Israeli teenagers, and the delayed payment of wages for government workers in Gaza in the weeks leading up to Operation Protective Edge. But those differences turned the factions explicitly against one another after Hamas staged dozens of executions of Palestinian Arabs allegedly “collaborating with Israel” – or working for Fatah – prompting at least one Fatah official to compare Hamas to global jihadist group Islamic State (ISIS). The IDF and the Israel Security Agency (ISA or Shin Bet) revealed last month that a large-scale coup had been planned by Hamas in Judea and Samaria to overthrow the PA and Abbas’s Fatah party, in orders given from Hamas officials abroad. Since then, Hamas has also refused the PA’s demands that it supervise rebuilding in Gaza, sources say – furthering sowing discord between the two factions.